Make yourself at home in one of the 42 air-conditioned rooms featuring minibars and LCD televisions. Rooms have private balconies. Complimentary wireless Internet access keeps you connected, and satellite programming is available for your entertainment. Bathrooms have hair dryers and slippers. Located in Zafferana Etnea, B&B La Meridiana is within a 15-minute drive of Mount Etna Park and Adventure Park Etna. This bed & breakfast is 19.9 mi (32 km) from Via Etna and 4.4 mi (7 km) from Etna Park Visitor Center. With a stay at La Valle dell'Etna in Zafferana Etnea, you'll be within a 15-minute drive of Mount Etna Park and Adventure Park Etna. 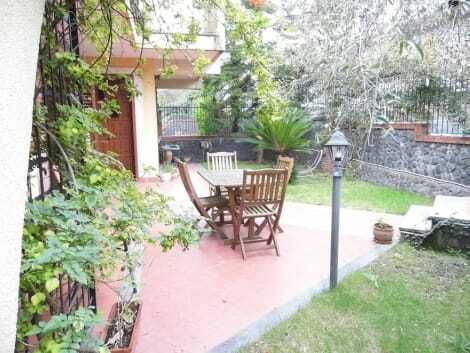 This bed & breakfast is 17.7 mi (28.6 km) from Giardini Naxos Beach and 19.9 mi (32.1 km) from Via Etna. 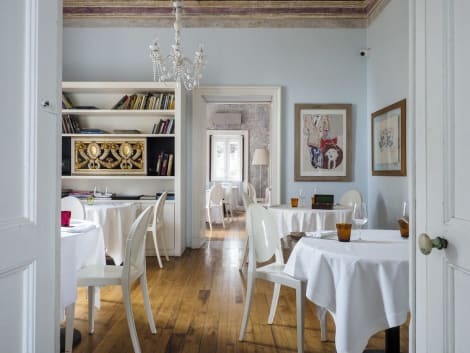 Grab a bite to eat at the Zeffirelli, a restaurant where you can take in the garden view, or stay in and take advantage of room service (during limited hours). Relax with your favorite drink at the bar/lounge or the poolside bar. A complimentary buffet breakfast is served daily from 7:30 AM to 10 AM. It is not far from the high crater of the volcano, the loved and hated Muntagna, with its spectacular eruptions, the natural avenues of the Etna park, the woods, the wild landscape of the height of the mount, the little villages of Etna cheered up by their festival and their markets. The hotel was built in the 60th. Now, the building is an oasis of relax and peace, and it offers to its guests beautiful rooms furnished with every comforts, wide terraces, inner halls furnished in a modern style, ideal for meeting, courses, banquets and every kind of events. All rooms are comfortable, quiet, furnished with simple and refined taste, and overlooked the charming view on the Ionian coast or of the thick wood of the mount. All rooms are equipped with an intelligent room electronic system, private services with shower, TV, minibar, telephone, air conditioning, warming for towels and hairdryer. lastminute.com has a fantastic range of hotels in Zafferana Etnea, with everything from cheap hotels to luxurious five star accommodation available. We like to live up to our last minute name so remember you can book any one of our excellent Zafferana Etnea hotels up until midnight and stay the same night.